December 14, 2008. 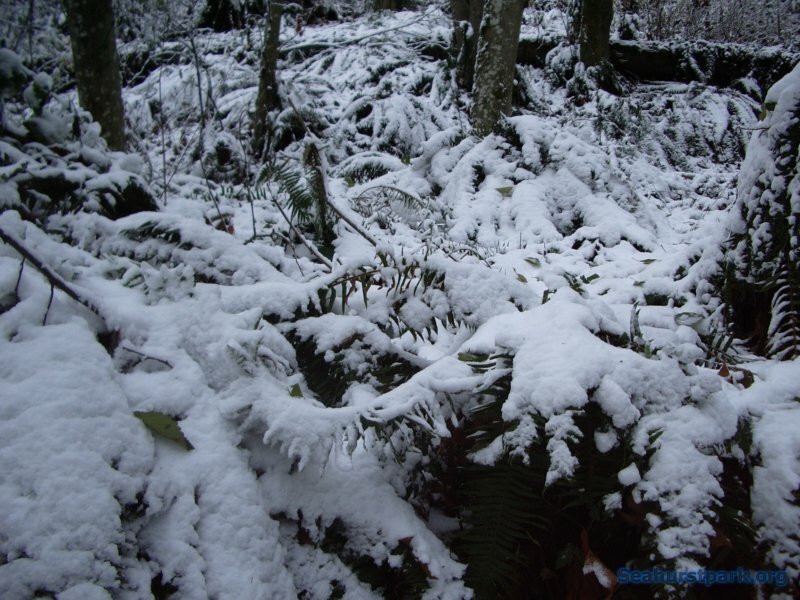 Heavy, wet snow on some of the ferns and other brush. This snow and the additional snow later in the week pretty well flattened the underbrush in the park.